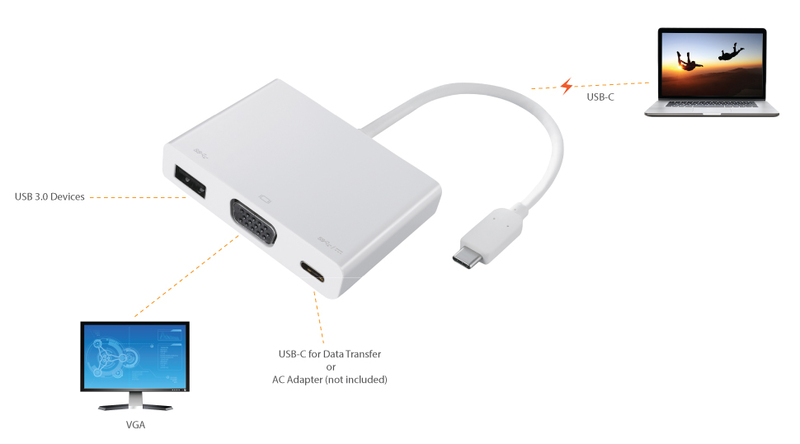 Connect a VGA monitor and charge your laptop all from a single USB-C cable. 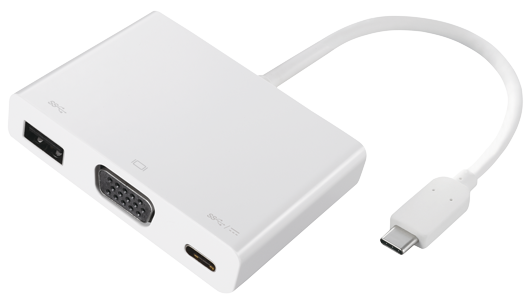 2-POWER’s USB-C to VGA multiport adapter is compact yet powerful allowing you to connect a VGA display. Power Delivery (PD) upstream charging function allows you to charge the connected laptop, smartphone or tablet. The built-in USB 3.0 port enables you to enjoy fast data transmission between USB peripherals. The USB-C port can be used for either data transferring or Power Delivery (PD) charging. They cannot be used together.